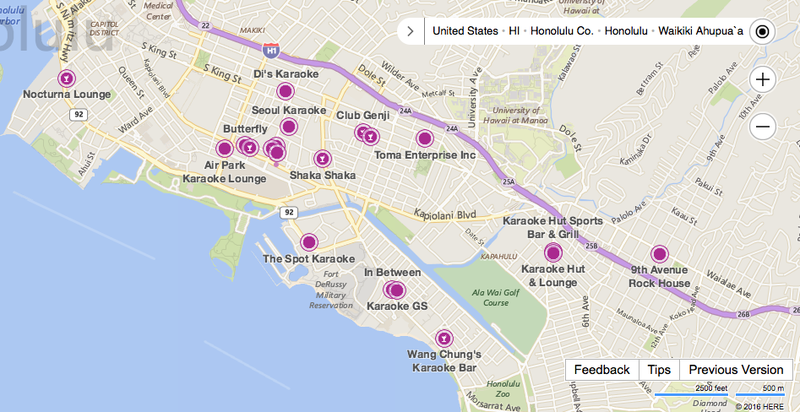 Karaoke Anyone? What about this Weekend? In the interest of marking their 60th birthdays in a big way, three Punahou74 classmates are traveling to Honolulu to celebrate. They asked if it was possible to get together with other classmates while in town. 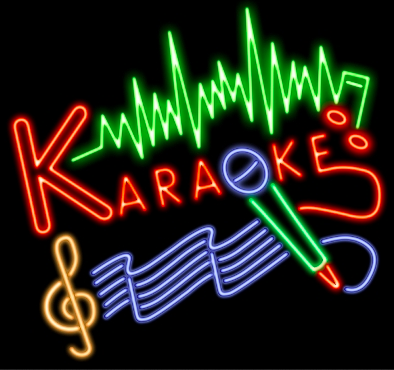 I thought, “Why not?” And, while not missing a beat, Mary Jane Markoskie added, “What about karaoke?” What about karaoke indeed. Better yet, what about you singing karaoke right alongside us? Yes, I know we tried karaoke at our 24th reunion. Remember? We had just finished putting on the Alumni Luau. Punahou graciously provided us with a “thank you” party for this major effort. After finishing our work on lower field, we concluded the evening by trekking up to the cafeteria for what, given our zombie-like state, promised to be a subdued and highly shortened affair. But there was some hope. Upon arriving, a karaoke machine sat prominently upon one of the long tables. This was 1998 and such machines were new, tantalizingly seductive, and something that few of us, if any, had experienced. Perhaps karaoke would be the spark that would rejuvenate us into the vibrant group of classmates whose last lyrical achievement was a now forgotten singing of Oahu-a to close our graduation ceremony. Alas, despite our relative youth (we were 42 years old), it was not to be. After a full day of decorating the tent (I remember stapling what seemed like hundreds of green ti leaves to the stage while Babs Miyano Young artfully arranged yet another yellow heliconia), selling drink tickets (Faith Sereno Rex was great company in that repurposed Carnival scrip booth), and prepping the food (now that’s where I drew the line!) there wasn’t much energy left in the tank. It was all I could do to communicate in complete sentences while speaking with Ro Johnson and his wife. Singing, even singing using such exciting technology, it was just out of the question. Now who are the classmates who are the reasons for the party? They are Faye Inouye Aitcheson, Sheree Lum Orsi, and Janet Bertram. Respectively, they are flying in from Washington, California, and Kentucky. Talk about dedication! Don’t know these three? This is a chance to reacquaint. Sheree was the only one of the trio who attended our 40th reunion so this is a great opportunity to reconnect. Do I have your attention now? Good. Because now I need your help. We desperately need your suggestions regarding where to hold the get together. Because of the late date, it is thought best to not reserve a room but to choose a place where we can just descend and … party! 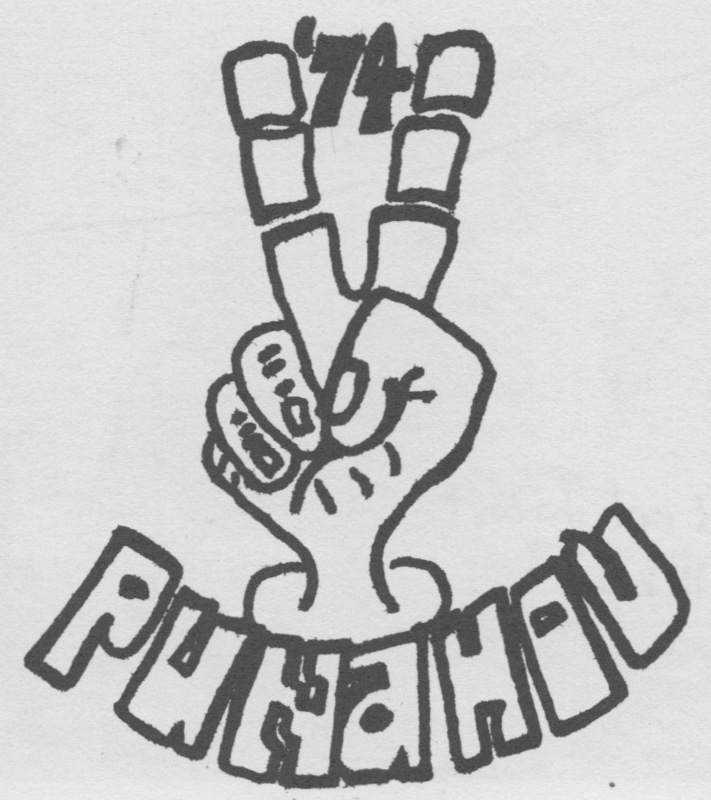 So, please please please, in the interest of having us not depend upon Yelp, let us know of a place that you think would be the best place for Punahou74 to meet. Preference is for comments below but, for you shy ones, send me an email. Punahou74 Club on facebook is also open for your responses. Mark your calendars. Practice those scales. We look forward to seeing you this Sunday.